Stylish leather bag from REBECCA MINKOFF. 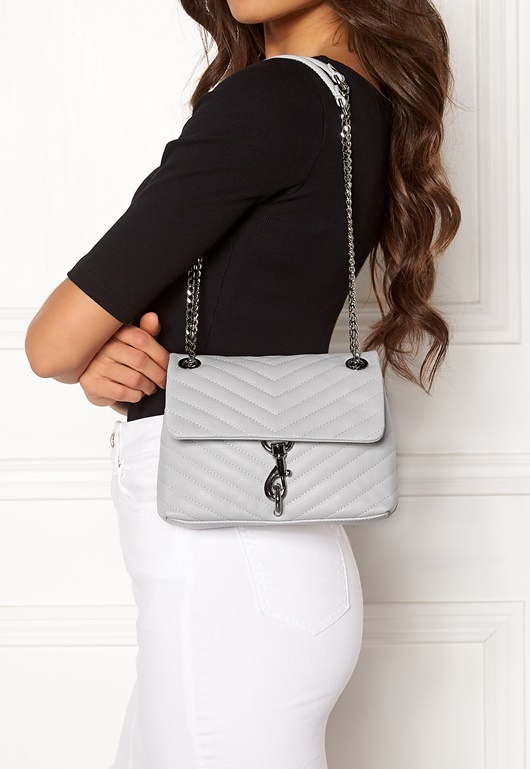 The bag has attractive details and a shoulder strap with chain. - Buckle closure on front - Brand logo on inner and back - Inner compartment - Back compartment - Can be used as a shoulder bag or handbag - Dustbag included Length 23 cm, Width 6 cm, Height 18 cm, Length of shoulder strap 122 cm. For returns to be accepted, the bag must be undamaged and returned with the original dustbag.